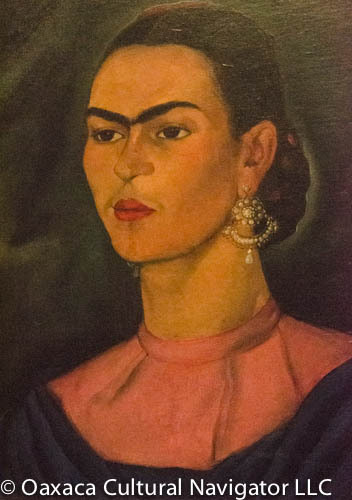 Come to Mexico City for an art history tour to explore the lives of Frida Kahlo and Diego Rivera through their art. 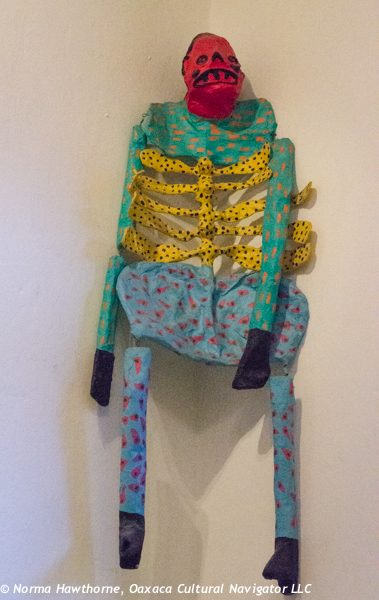 This is in-depth art education at its best! We offer you a narrated immersion experience that you cannot get visiting these places on your own. Come solo, with a partner or friend. Norma Schafer participates in all programs. Small group size limited to 8 people. 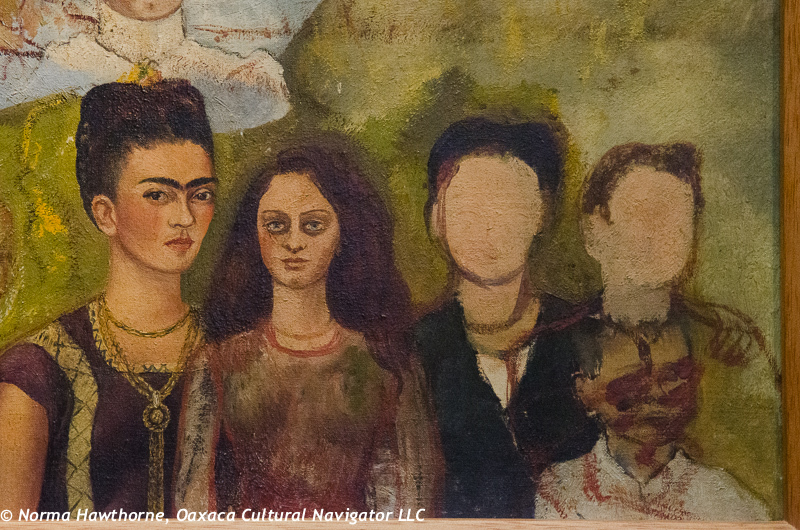 Meet for a group dinner on Thursday at 7 p.m. We will have a long weekend — three full days — to learn about Diego Rivera‘s stunning Mexico City murals, visit Casa Azul where Diego and Frida Kahlo lived, and see the largest private collection of their work at the Dolores Olmedo Museum. Through their eyes, you will better understand Mexico’s political, cultural and social history, and their personal lives together. 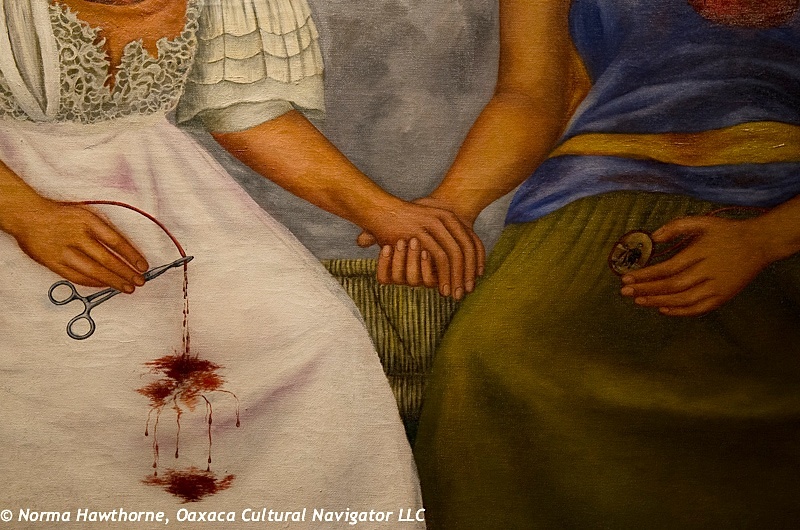 Theirs is a story of Mexico’s development as a modern nation. If you want to register, send me an email. Tell me the dates you prefer! Yes, you can visit these places independently. But you can’t get the same in-depth knowledge if you do. 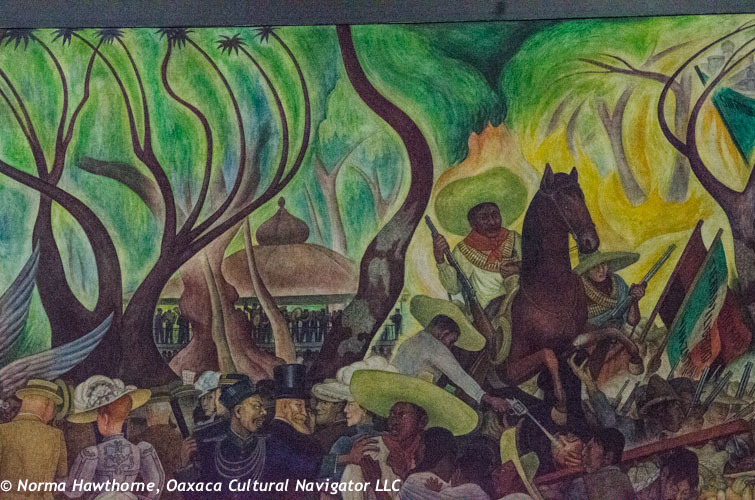 We offer you a rich, rewarding and educational experience to give you an in-depth understanding of Mexico and her cultural history. We work with local experts to take you deeper while giving you a broader perspective. We don’t just visit places to give you a cursory overview — we explore and digest them! 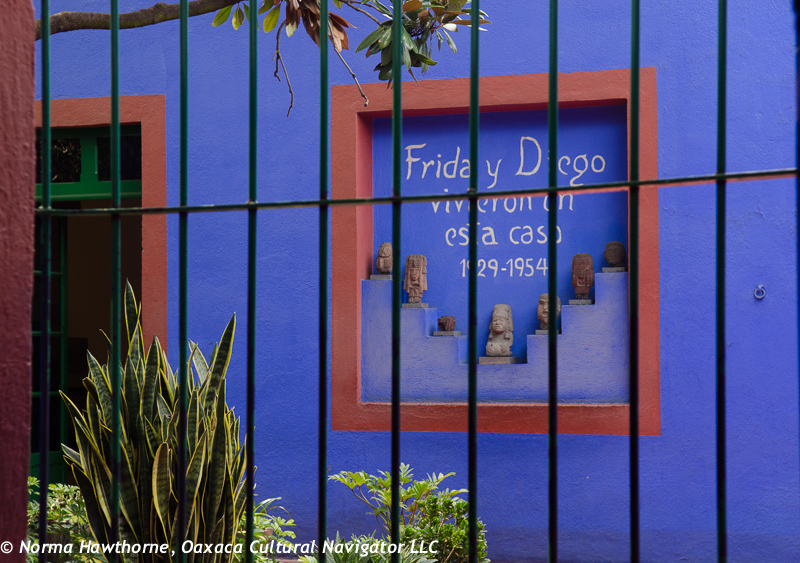 Casa Azul — Museo Frida Kahlo is a tribute to the life of both artists. 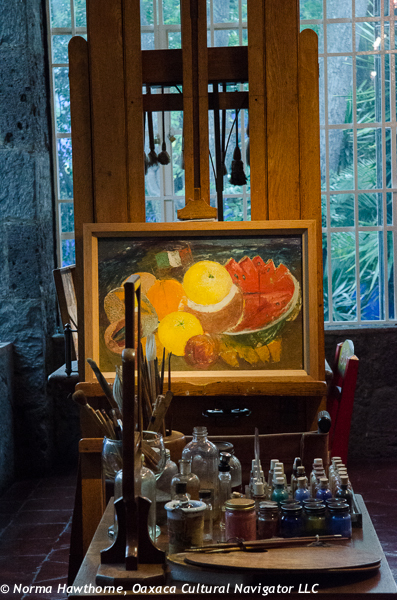 Museo Dolores Olmedo Patiño has the largest private collection of Frida and Diego paintings in the world. 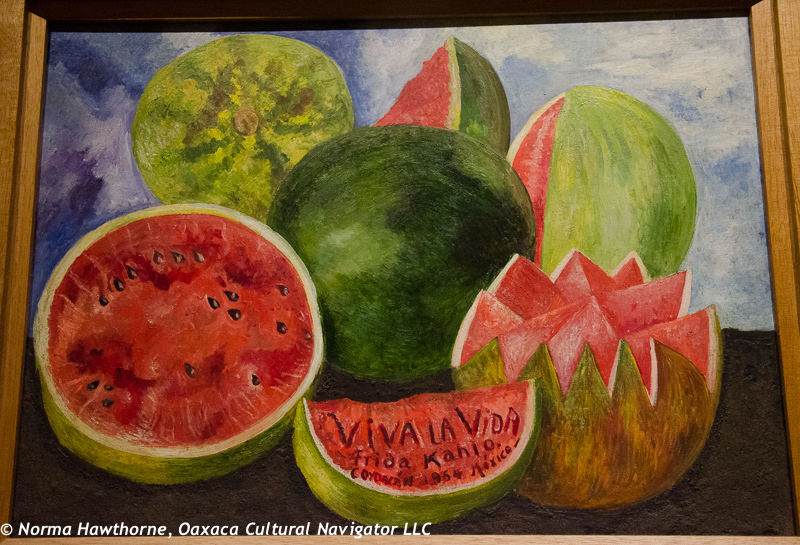 She was a benefactor and life-long personal friend of Rivera who became executor of his estate. 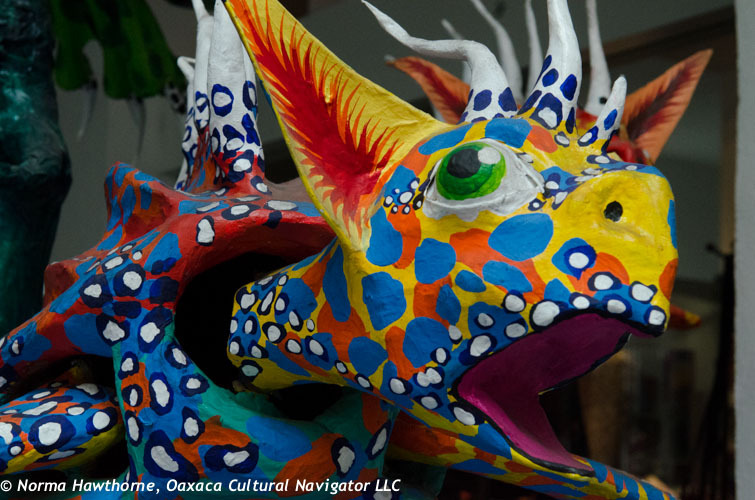 Plus, have lots of options for independent exploration: shop for outstanding folk art, and eat at local markets, historic and fine contemporary and traditional restaurants! 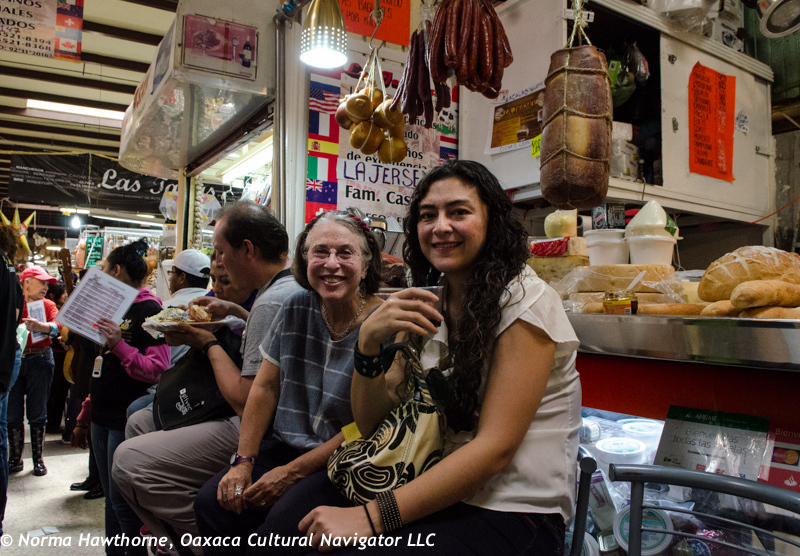 Day 1, Thursday: Meet for group dinner at 7 p.m. at Restaurant Azul Historico near the Zocalo. Dinner included in your tour cost. Overnight in Mexico City included. 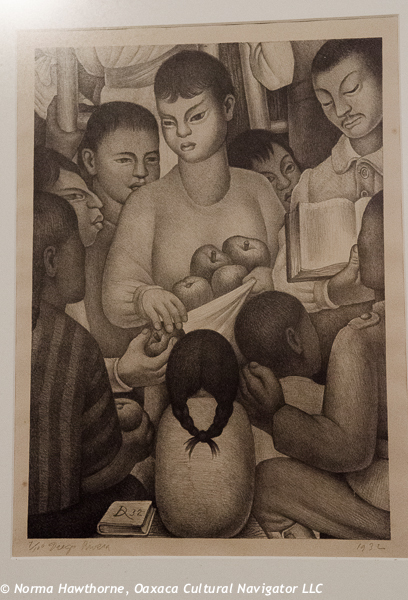 Day 2, Friday: guided visit to SEP, San Idlefonso, and the Abelardo Rodriguez market where Rivera’s students painted. Lunch and dinner on your own. Overnight in Mexico City included. 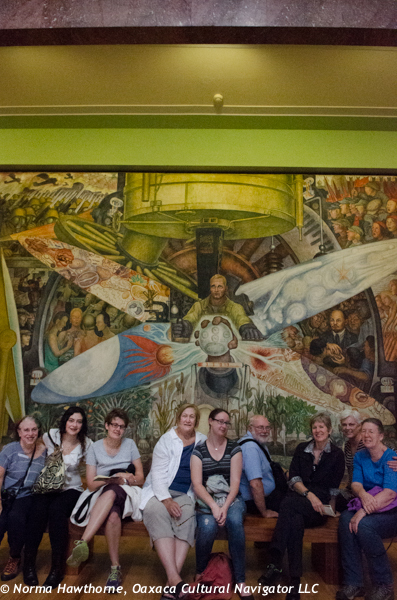 Day 3, Saturday: guided visit to Palacio Bellas Artes and Museo Mural de Diego Rivera. 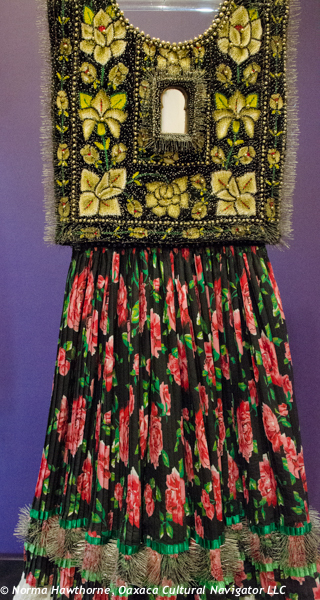 Optional folk art shopping or visit to Anthropology Museum. Lunch and dinner on your own. Overnight in Mexico City included. 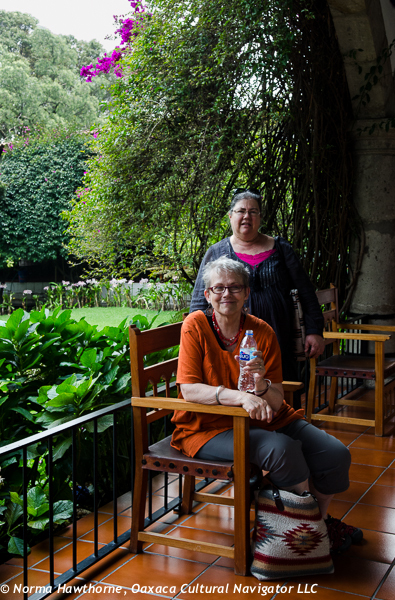 Day 4, Sunday: guided visit to Casa Azul and Museo Dolores Olmedo Patiño. Includes transportation. Lunch on your own. Overnight in Mexico City included. Depart on Monday for home. Be ready to WALK and then, walk some more! Don’t forget to bring an extra suitcase to pack treasures you pick up along the way. Base Cost: $595 USD per person without lodging. Upgrade: $895 per person, includes 4 nights lodging. 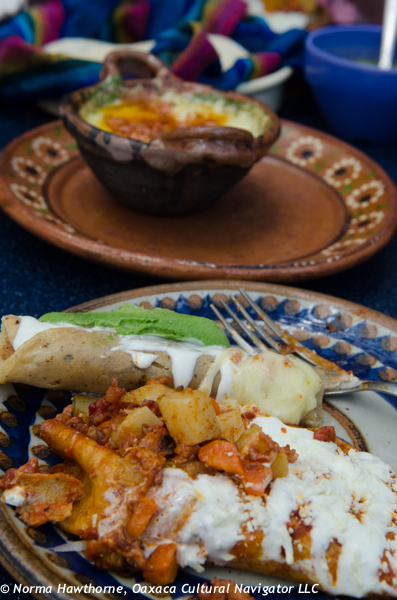 Choose the upgrade and stay with us at a comfortable bed and breakfast inn located in the historic center of Mexico City with breakfast included. lodging — we recommend wonderful hotels in the historic center of Mexico City where you can make and pay for your own lodging arrangements directly, such as Chill Out Flat B&B, Hotel Catedral or Gran Hotel Ciudad de Mexico. Base Cost: $595. USD per person. Small group experience. Maximum: 8 people. Upgrade: $895. USD per person double occupancy, includes B&B lodging with breakfast, private bath for four nights, Thursday, Friday, Saturday, Sunday. Otherwise, all exceptions noted above apply. Single Supplement: $1,195. USD for private room and bath. 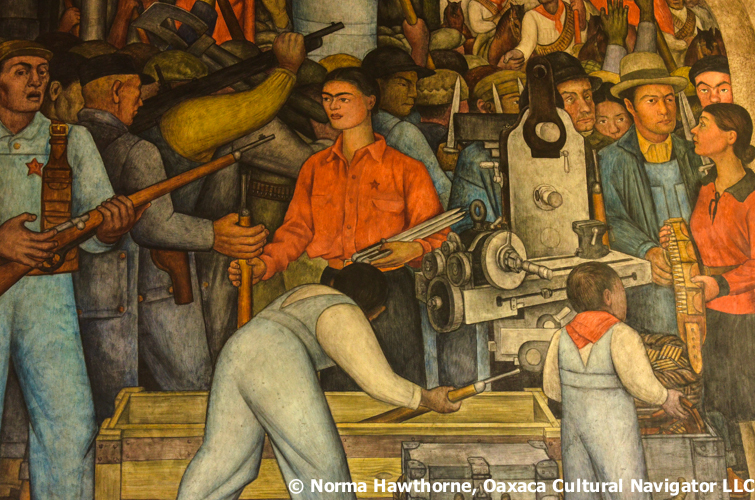 Optional: Arrive early and/or stay later to discover Mexico City and her incredible museums and restaurants. We will give you a list of recommendations to explore on your own. Reservations and Cancellations. A 50% deposit will guarantee your spot. The last payment for the balance is due 45 days before the program start date. Payment shall be made by PayPal. We will send you an itemized PayPal invoice. Please understand that we make arrangements months in advance of the program. Deposits or payments in full are often required. If cancellation is necessary, please tell us in writing by email. After 45 days before the program starts, no refunds are possible. However, we will make every possible effort to fill your reserved space or you may send a substitute. If you cancel on or before the 45 day date, we will refund 50% of your deposit. Required–Travel Health/Accident Insurance: We require that you carry international accident/health/emergency evacuation insurance. Proof of insurance must be sent at least two weeks before departure. 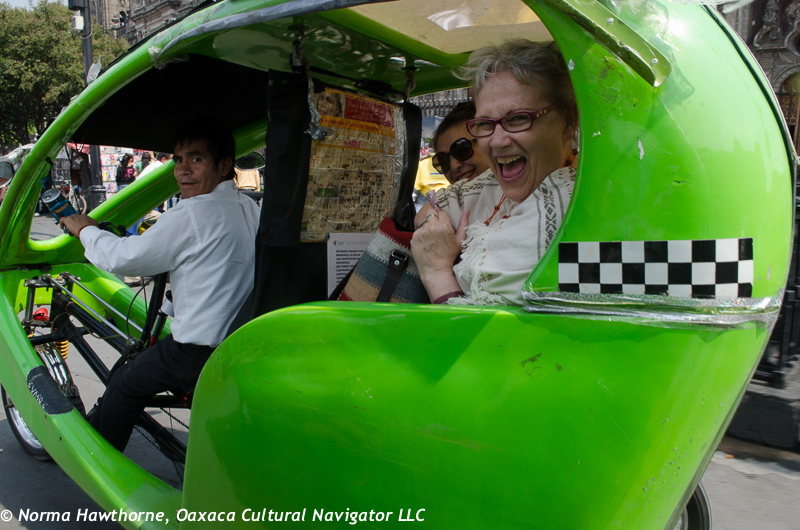 If you do not wish to do this, we ask you email a PDF of a signed and witnessed waiver of liability, holding harmless Norma Hawthorne Shafer and Oaxaca Cultural Navigator LLC. Unforeseen circumstances happen! To register, email us at normahawthorne@mac.com. We accept payment with PayPal only. Thank you. 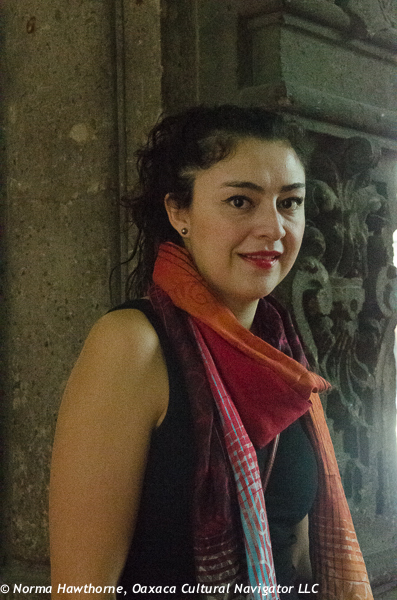 This workshop is produced by Norma Hawthorne, Oaxaca Cultural Navigator LLC. We reserve the right to adjust the itinerary and substitute leaders without notice. 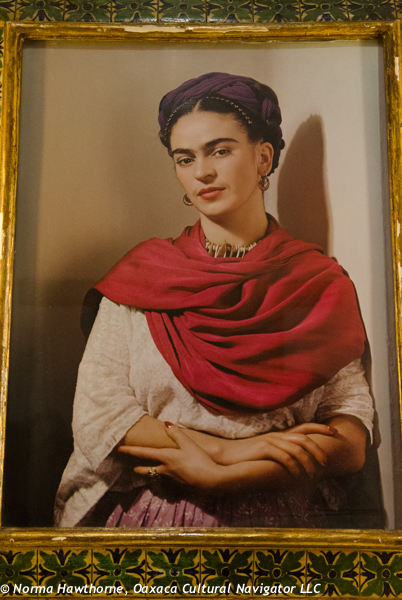 This entry was posted in Cultural Commentary, Mexico, Mexico City, Photography, Travel & Tourism, Workshops and Retreats and tagged art history, class, Diego Rivera, education, Frida Kahlo, Mexico City, study, study abroad, tour, travel, workshop. Bookmark the permalink.